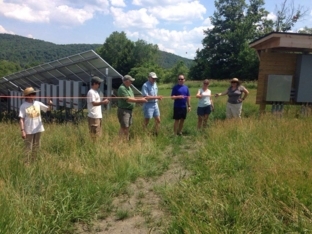 Non-Profit SEVCA (Southeast Vermont Community Action) plans to create solar array to suit approximately 70 area low income households in the Westminster area. Vermont Council on Rural Development will launch the Climate Economy Model Communities Program in Randolph with a Kick-Off on April 10. The program, named R3 - RANDOLPH REGION RE-ENERGIZED by a local planning team, will begin with a series of forums and a free community dinner that afternoon and evening. Residents in 30 towns across Vermont from Arlington to Williston are petitioning in their communities to put climate change on the Town Meeting Day agendas and ballots. 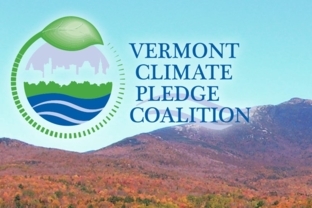 All Vermont municipalities, non-profits, colleges and universities, and businesses are invited to join the Coalition and do all they can to reduce carbon emissions to help Vermont meet the U.S. commitments in the Paris Climate Agreement. 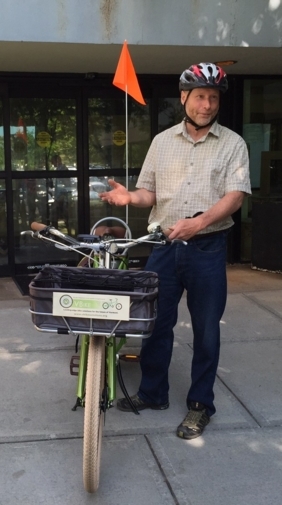 VBike is working to make bicycles more relevant for Vermonters while encouraging healthy bodies, vibrant communities and a sustainable vision for our planet. For ten years, Washington Electric Co-op has been generating power from the stuff that Vermonters throw away. “If I can get my energy locally from a very simple source, it’s money in the bank and it’s power in the grid.” - Peter Thoenen, one of the members of the Randolph array. 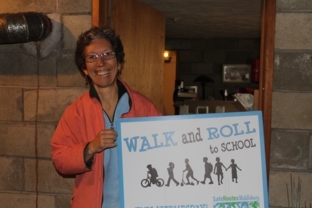 Laura Asermily has worked to improve her own and her community’s carbon footprint for a decade. Check out this story to learn more about home efficiency, community programs, and biking bananas! 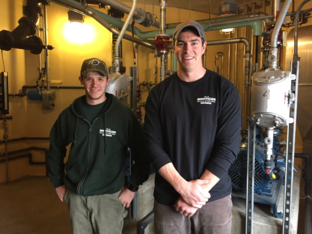 The City of Montpelier’s Wastewater Resource Recovery Facility’s energy conservation measures have cut the facility’s electricity use by half between 2009 and 2014, and have reduced fuel oil use as well. 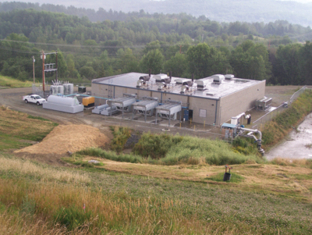 The facility has also reduced its overall greenhouse gas emissions by capturing methane for heat within the facility and burning it with a flare to prevent the methane from directly entering the atmosphere.